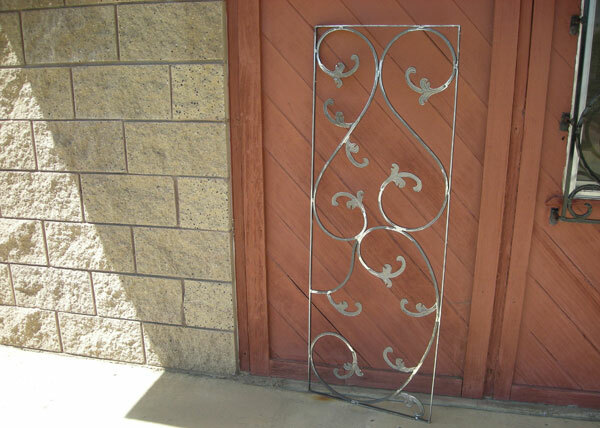 W1 This window guard was fabricated for a client in La Jolla, CA to protect a vulnerable side window. The hand forged style was made from ⅜" square bar with ornate leaves attached. Once painted and installed it will look like a decoration on their home instead of a standard window guard. 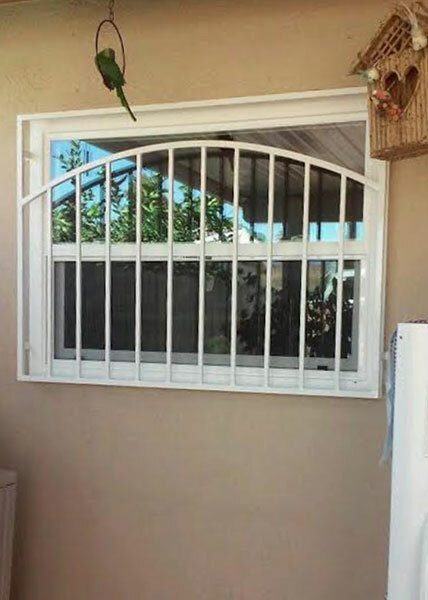 W2 Our client in Chula Vista, CA wanted window guards that didn't look like traditional window guards. We created a design using hand forged scrolls within a ½" x ¾" solid steel frame. The window guards are highly ornate and add a nice look to their home. W3 During this residential window guard installation in Coronado, CA, our client presented us with a sketch of the style of window guard they wanted. We used 3/4" steel tube for the frame and 1/2" square tube for the pickets. The unique look was accomplished by adding arched horizontal below the upper frame. 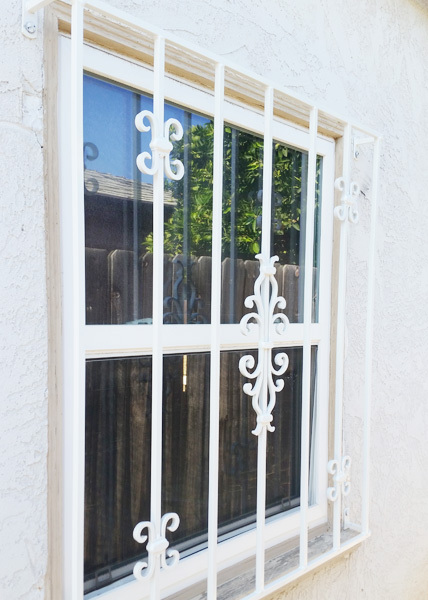 The window guard was coated with zinc primer and a powder coat white finish. 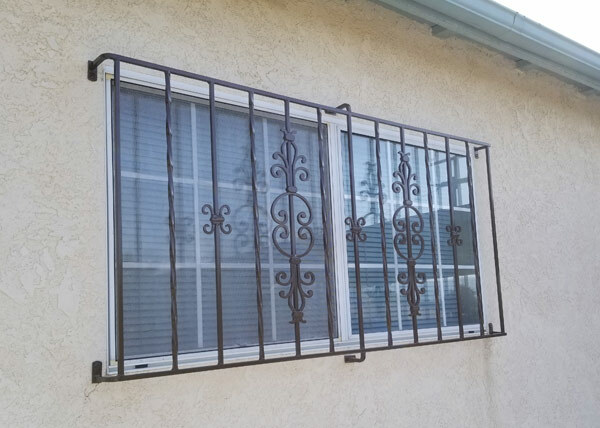 W4 We fabricated and installed this hand forged window guard in Chula Vista, CA. Half inch solid steel was heated in our forge and formed by our master blacksmith. The window guard was coated with powder coat zinc primer and a finish coat before being installed by our installation team. 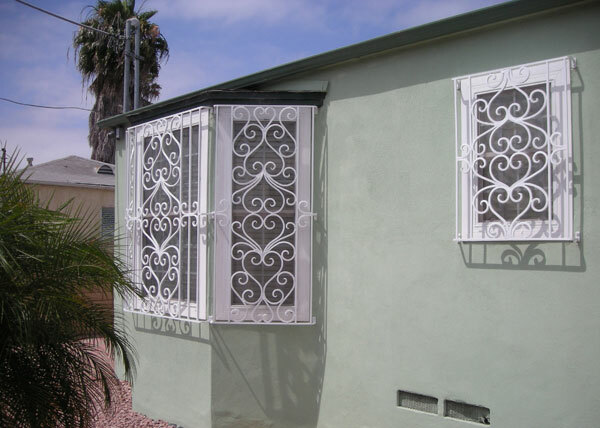 W5 This home in Chula Vista received custom window guards courtesy of BA Ramirez & Sons. It was created in our "202" style, with a ½" solid steel bar and wrapped welding for extra strength. We attached it to the wall using "one way" security screws, preventing anyone from removing it and climbing in an open window. 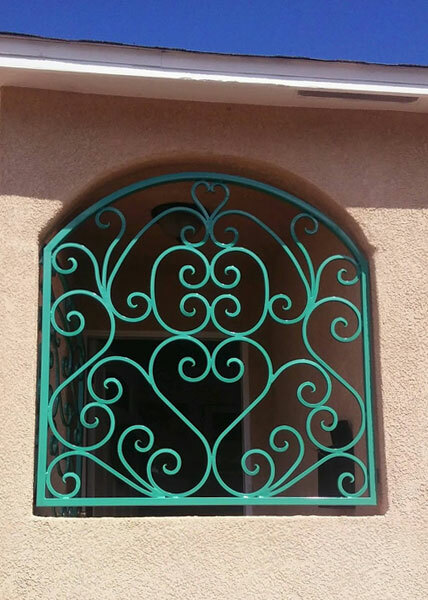 W6 Our experienced team created this custom window guard in Carlsbad, Ca. It was constructed with a 1" x 1" steel tube frame and decorative ½" straight and twisted pickets for extra security. The window also features a long-lasting powder coated brown paint finish. The security doors were made exactly as I wanted and the men who installed them did a great job. It's great and rare these days to see men take pride in their work.